Apparently consists of 2 people and need to answer a ticket a felt week. P.S: The Rift has worked properly before an update of Windows 10, without any problems. At the link you will find again the live presentation of the error I just explained here. Did you do that for both the sensors and all the controllers? 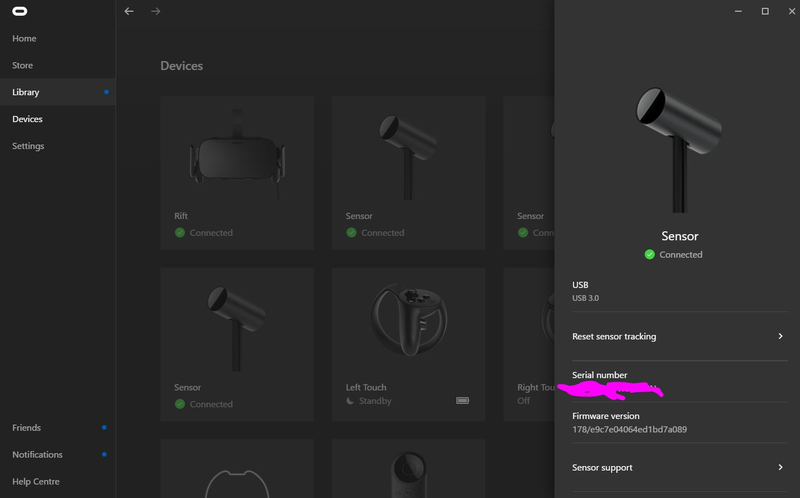 Also, make sure the rift can see both sensors and that there is nothing obstructing it's view, when you click on the sensor with the error in the Oculus App, what does it say? 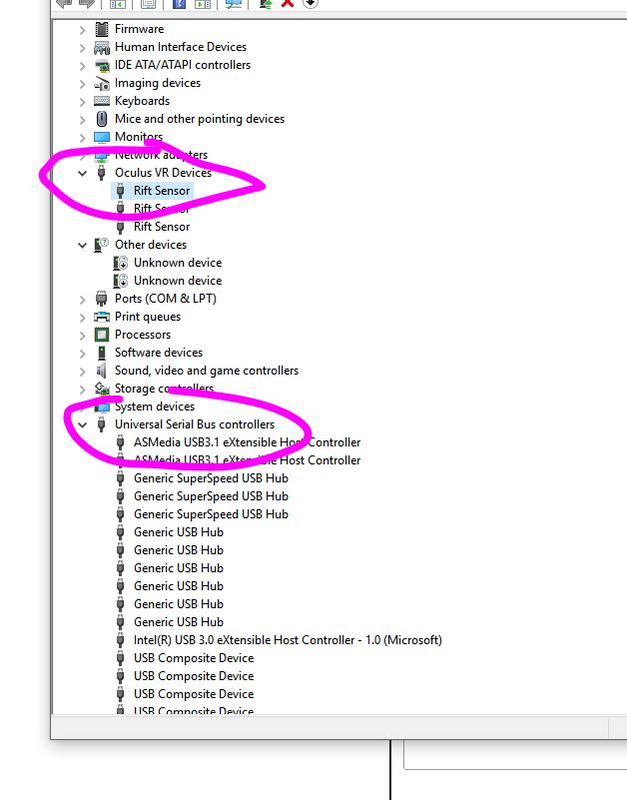 @KRekter - Looking online, I see that laptop is limited to 1 USB-C and 2 USB. I suspect that a Powered USB-Splitter would help with this. Since this could be an issue with power, or bandwidth the splitter will address both. @LZoltowski - I already set those settings everywhere i could in the usb and battery managment. 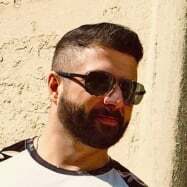 @WilliamVR - I tried a 3.0 USB-Hub, but without any success. You might be right with the powered USB-Splitter, but why the oculus rift worked fine since the windows was updated? 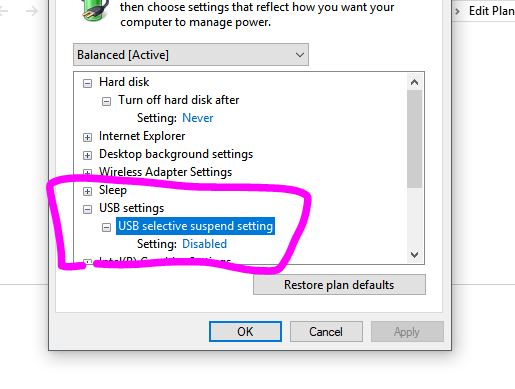 Could be that Win 10 has a more sensitive power management.I had something similar when trying to plug in the 4th sensor into my motherboard, a powered USB Hub helped. 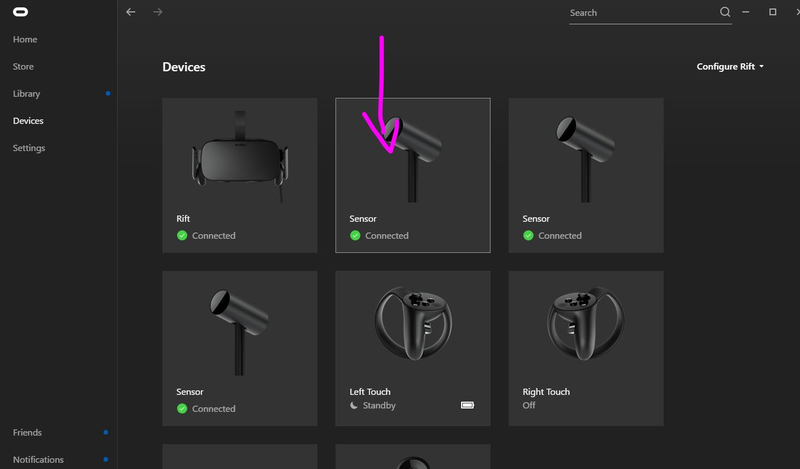 What is the error displayed when you click on the sensor in the Oculus App? 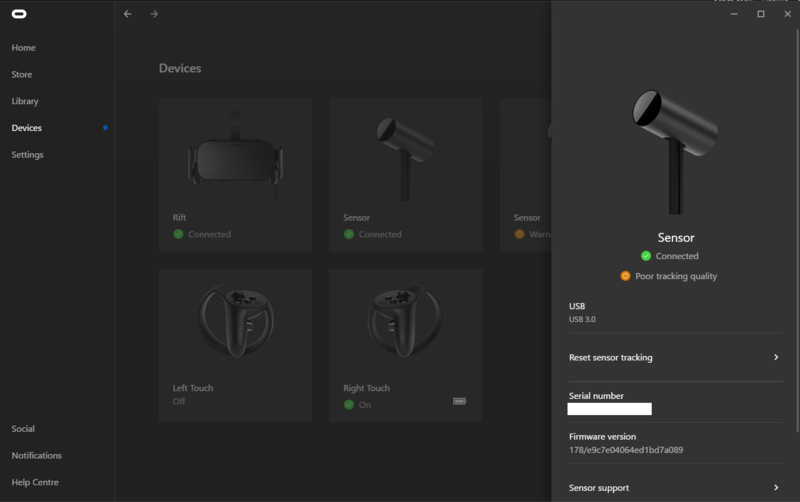 @LZoltowski - When i plugged it into the USB-Port, the Rift was for a moment error and then my sensor went to error. My sensor also has sometimes poor tracking quality, even with USB 3.0 which doesn't make any sense. You can see the error also in the video which i linked before. No, sorry I meant, once you see the error on the sensor, click on the box, this will show more details on the left hand side, could you screenshot that and upload here? Seriously, it took me just 2 hours for the support and to solve my problem. Maybe your Oculus Staff is more active in forums then in the Costumer-Support. Anyways, thanks a lot to you both guys @LZoltowski - and @WilliamVR - i really appreciate your help, really big thanks to you. today i received my powered USB-Hub, but it always did disconnect. The sensor is the powered Hub on both pictures, but it seems like he changes his ports to 3.0 to 2.0, wtf? I realised that my led of the error sensor is going off all the time when i connect my sensors, the sensor might be damaged while it was delivered to me. I hope we find a solution for this problem, otherwise i need to send the oculus back, because I am wasting my time with the oculus and with researching about the problems. The htc vive might have been the better solution for 200 € more additional charge, maybe you can change my mind. @KRekter - sorry for the delay on this. So this was partially fixed? Going from 3.0 to 2.0 shouldn't have any meaningful impact on your experience. Does the sensor remain connected at this point, and is it functioning properly?